I enjoyed this mascara a lot. 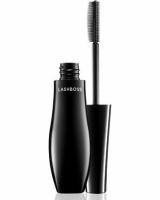 The short rubber bristles help me really apply the formula to the root of my lashes, and are really easy to control. Then, the longer bristles on the other end are great for evening things out and extending lash length. No clumping, flaking or raccoon eyes, either!